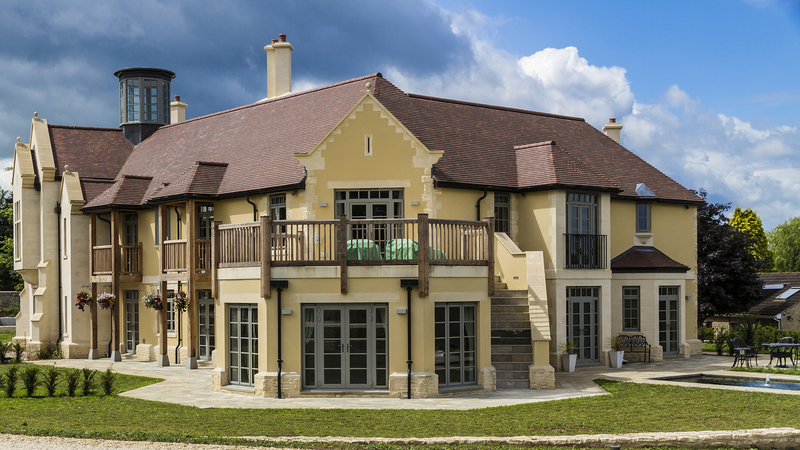 weberpral M monocouche render has been specified for an award winning new build private home. 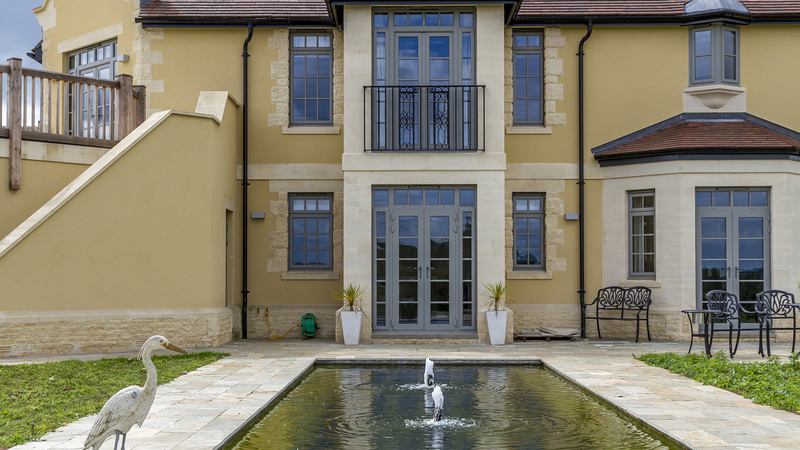 This remarkable property features many traditional design details which work beautifully with the clean crisp lines created by the through-coloured render. weberpral M monocouche render has been specified for a substantial new build private home in Radstock, Bath. This remarkable property features many traditional design details including locally sourced stone for plinth courses, quoins, cills and copings. Together with the clean crisp lines created by weberpral M render an attractive aesthetic has been created for this exceptional home. A glass tower allows generous views of the beautiful rural landscape and gardens. The property was originally constructed in the 1980’s. The current homeowners considered a number of improvements and extensions but local planners advised a complete rebuild. 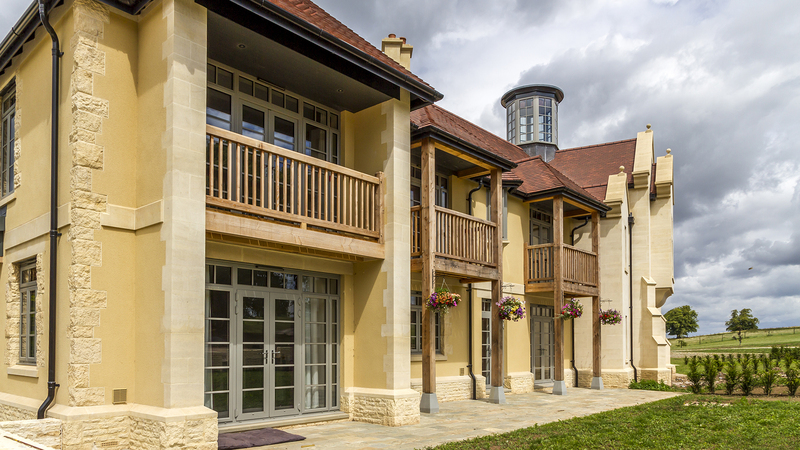 The structure was demolished and the entire 12 acre site redeveloped to include the (manor) house, a sports complex and extensive landscaped gardens. Smart technology has been incorporated throughout. The project was managed by Eclipse South West Services Limited, Bristol. “This substantial project has been interesting from the very beginning,” says developer Paul Russ, Eclipse SW Services, “and while the owners wanted to make major alterations the planners would only agree to this beautiful arts and crafts property, designed by architects Mitchell Taylor Workshop, at this location. weberpral M, a one coat, through-coloured, external decorative render, is quick and easy to apply by hand or by spray application to assist with challenging build schedules. It is hardwearing and low maintenance and, being weather resistant, performs well in areas of harsh exposure. A ready mixed, cementitious render it requires only the addition of clean water on site. It can be used on most suitably prepared brick and blockwork and offers a variety of ways to achieve distinct, architectural features including ashlar detail. The render application was carried out by North Bristol Plastering, Bristol, a specialist finishing and rendering contractor. “We reviewed several render finishes at the design stage and the client agreed that weberpral M monocouche render in Buff would provide the best enhancement for the wall structure and would complement the other decorative materials used in this project,” says Steve Lovell, North Bristol Plastering.